The more aware I become of our food system and how preservatively poisonous it is, the more I desire to cook at home where I can control the ingredients. 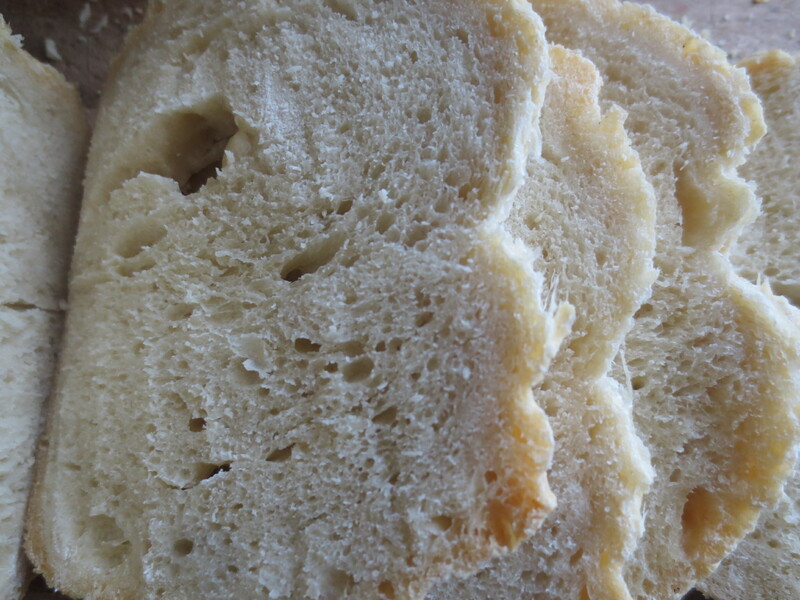 Bread was chosen among the first of the foods I learned to produce homemade. 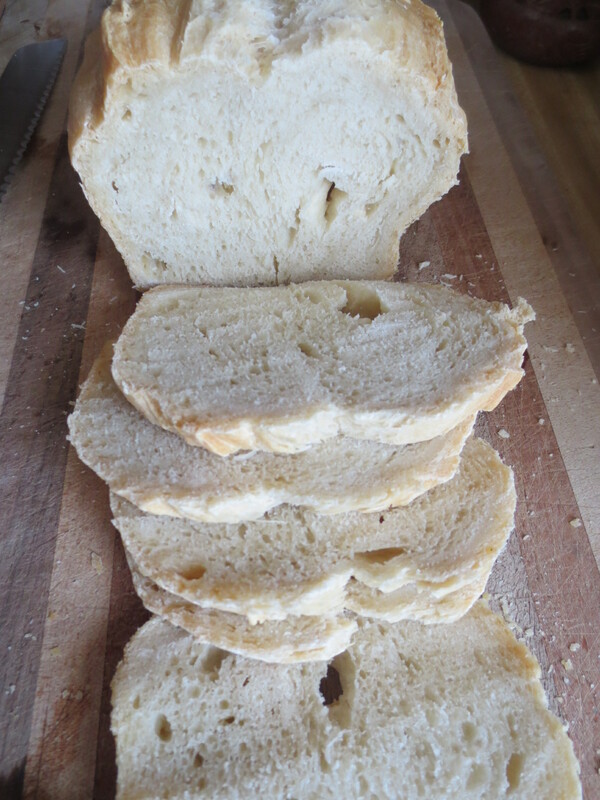 When I began making bread, I chose a recipe for a homemade bread that consisted of four simple ingredients: Water. Flour. Salt. Yeast. You’d think that mixing together four ingredients into a bowl would provide the same results, consistently. Nope. I had the worst luck. I’d mixed those ingredients into a bowl over and over and OVER again. I’d followed the recipe to the mark. Many times. After awhile, I went rogue. I tried kneading the dough against a “no-knead” recipe. I tried different oven temperatures. I tried different amounts of cooking time. I tried different depths and shapes of scoring. I mixed flours. I changed flours. I added more yeast. On and on it went, a slew of rock hard, gooey centered, bland tasting, fall apart failures. Every now and then, I’d get a decent loaf…but I wouldn’t know what I’d done differently to achieve it. The process became a science experiment. WHY was I failing? How could I cuss up such a simple recipe? About four months ago, my husband researched water purification systems for our home. Up until that point, we’d used PUR and BRITA brand filters on our kitchen faucet. He wanted to make sure that we were getting the most for our money. A final decision was made that we should invest in a Berkey water filter system. Water was not something I had considered as an inconsistent ingredient to my basic recipe. Each and every time I would make bread I’d pour water directly from our kitchen sink faucet. The recipe called for tepid to warm water, so I’d adapted to turning on the hot water knob until the water was at the desired temperature. I heard a story once about a guy who used to work at a water treatment plant. He told a troublesome tale about how he’d just “spray whatever seemed enough” of the “treatment chemicals” into the water that was being distributed to all of the residents of the city he worked for. Nice. Regardless of the fact that I can’t cite that source, that’s quite the slap in a trusting American’s face, now isn’t it? It sure straightened my eye sight a bit. 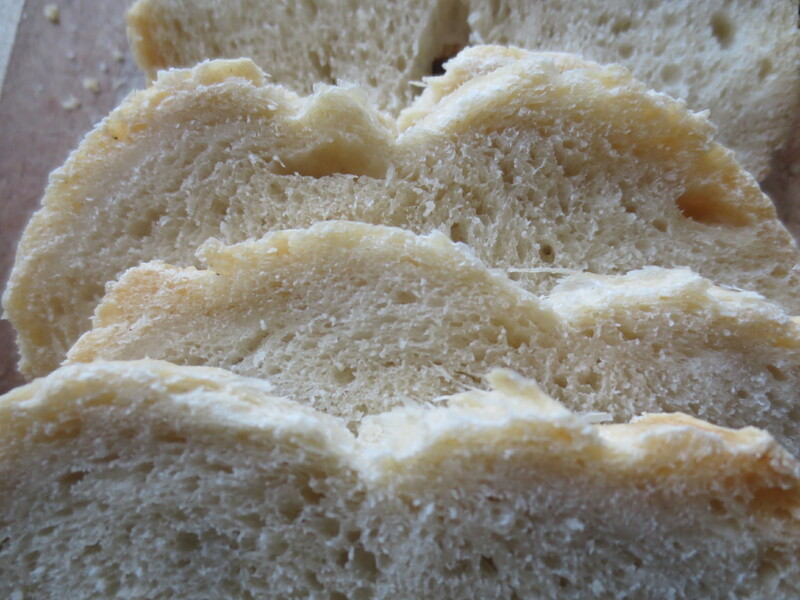 As I was pondering over how to write this blog and tell this story, I began thinking about my history of bread making. When we owned a house in Rock Hill, SC, we had a well. I loved that we were not connected to city water because I knew that Fluoride, among other “just enough” treatment chemicals couldn’t “get us.” The bread that I made in Rock Hill was more or less consistent, so long as I stuck to the recipe and didn’t mix in too much whole wheat flour, etc. As I look back, I kick myself for not putting it together that the water itself could have been the culprit when it came to my inability to produce a successful loaf of bread. Thankfully, I finally came to my senses. During the in between, however, I was working well to convince myself that operator error must have been the cause… and I took that anger and frustration with myself out on a many innocent failed loaves of wasted time and energy= death by chicken. To make room for the mixing bowl, I had to move the gallon sized glass jug of filtered, husband provided, Berkey water from my less than desirable kitchen counter work space. As I sat the mixing bowl down, something fired inside my brain that caused my simple mind to connect that, umm…maybe I should use THAT water in my recipe? Needless to say, I baked two perfect, beautiful loaves of bread that day. They were both eaten in about two days. Could I succeed again, or was this just a fluke? A few days later, I had produced two more loaves of beautiful, edible bread. I am pretty convinced that the city tap water was causing inconsistent results when it came to my bread making. Yeast, after all, is alive. It is frightening to believe that the very water provided to us in a system that we’ve been raised to trust could KILL my bread! But how can I question this belief after seeing the proof “pan out” in my oven? The variables (ingredients) in my experiment were consistent– or so I thought. Who knows what dose of what chemical (or worse) I’d been mixing into my dough? No wonder I was beginning to feel a bit insane. All of those times I’d repeated the steps. All of those ingredients I’d measured delicately. All my efforts wasted because of the inconsistent variable in my experiment: CITY WATER. A variable that I had the audacity to believe was CONTROLLED. If you want to try this recipe yourself, just mix together all of the four ingredients(using filtered water, of course) in a large mixing bowl. Stir them together until the flour has been absorbed into the mixture. Cover the bowl and leave it somewhere it won’t be disturbed too much overnight. In the morning, mix all of the dough into a ball in your bowl. Grease two bread pans (coconut oil is THE BEST) and separate the large dough ball into two parts. Turn each of your two smaller bread balls into each other (like you’re folding socks together), put ’em in the pan and bake them for 30 minutes at 350 degrees. 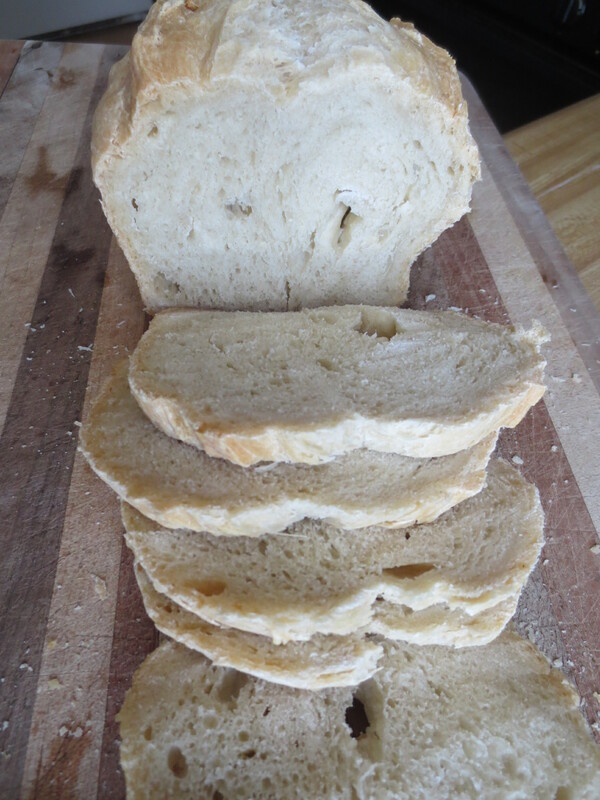 If you’re into it, I’d be happy to spend some time writing a more detailed instruction to this recipe (with photos of preparation in between) so that you can try your hand at homemade bread of your own. My focus of this blog, of course, was to imbed into you, oh wise baker, that filtered water WILL create better bread. Always. 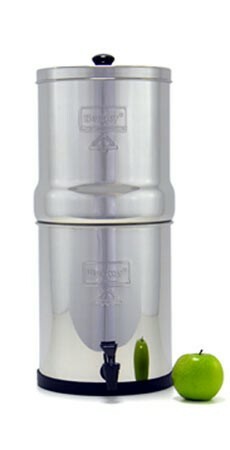 Also, if you’re wondering, we chose to purchase the “Big Berkey” with fluoride filters and have been very happy with that choice. As a side note, I want to make sure that I mention that I had the worst outbreak from eczema that I have ever had in my life after moving to a house that was hooked up to city water. Heavy metals (Copper, Zinc, mercury, lead, Arsenic, Cadmium) are commonly found in decaying water line infrastructures. Nickel is listed among the suspected causes of my particular form of eczema: Dyshidrotic Eczema. Suspicious. I’m obviously still on the hunt for some answers to this ailment. The cause may be different for each person, but I still don’t know exactly WHY I was a victim. I feel as if that question of “WHY” should have an answer by now. The medical community has not done enough research on this matter, I fear. As I continue my search for an answer, I’ll occasionally share my thoughts on the matter in this blog through posts and comments.